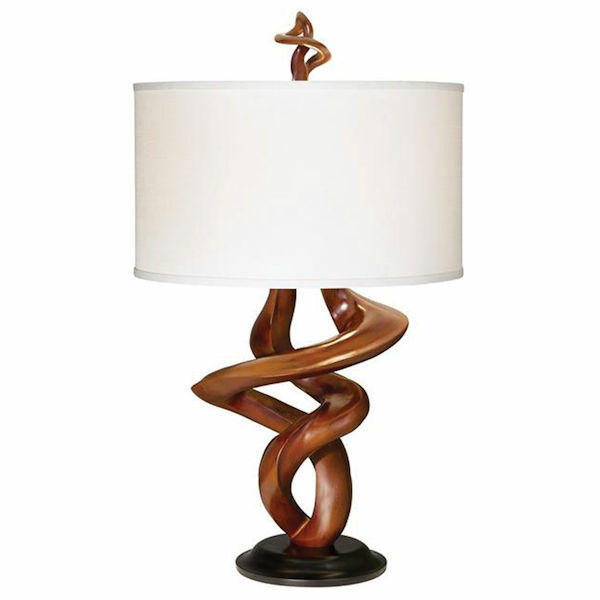 Crafted to resemble a pair of twisting branches, this polyresin table lamp is an instant attention-getter in any room. Offering an African walnut finish, this lamp is complete with a round base and a crisp white linen drum shade (11" high). Lamp 33"h x 19"l x 19"w. Takes 1 medium base bulb, 150 max wattage. Please allow 2 weeks for delivery. No rush delivery or gift box. Item can only be shipped within the Continental US.